Then it happened in the spring, at the time when kings go out to battle, that David sent Joab and his servants with him and all Israel, and they destroyed the sons of Ammon and besieged Rabbah. But David stayed at Jerusalem. 2 Now when evening came David arose from his bed and walked around on the roof of the king’s house, and from the roof he saw a woman bathing; and the woman was very beautiful in appearance. 3 So David sent and inquired about the woman. And one said, “Is this not Bathsheba, the daughter of Eliam, the wife of Uriah the Hittite?” 4 David sent messengers and took her, and when she came to him, he lay with her; and when she had purified herself from her uncleanness, she returned to her house. Where was the real battle being fought? David walks the rooftop and engages the enemy; it was within his own heart. He puts himself right into sin. Perhaps he couldn’t sleep. It was a warm spring night, and he needed air and to stretch his legs. His troops and his generals were out to war. Maybe he was anxious about how things were progressing. Perhaps he was not where he should be. Little did he know but he would face his own battle up on his roof. David was a seasoned veteran; a trained warrior with skill on the battlefield. But he was also king– with kingly perks. He had wives and concubines at his ‘beck and call.’ His “appetites” were sufficiently met. That is the prerogative of kings. She was naked– and more beautiful than he had ever seen. A servant was near, and he wanted to know more about her. He began to plan how he could have this exceptionally beautiful woman. She was also the wife of Uriah, one of his elite warriors and one of his “mighty men,” (2 Sam. 23:39). But he burned for her, and wanted her now. He had lost the battle. Even kings “reap what they sow,” (Galatians 6:7-8). Life is chock full of mysteries, so much is unknown. Early in my walk, over 40 years ago, I concluded that I would be able to acquire all the knowledge that I could ever want. I was on the short track, going up of course. It was a glorious thing, it took me some time to realize I was very ignorant of so much. I think we need to work through this, for most it is a minor tweak. For others who still think that their life consists in how smart they can become, it is trouble. I believe that the Word of God, read and meditated on is an exceptional thing. “All scripture is God-breathed…” The Bible communicates truth, not facts. That is a penetrating question, indeed. “Why are some healed, and other are not? Why do I have eternal life, and my friend does not? Why should AIDS sweep through poor African villages when I live in a very comfortable suburb in the US?” I have many other questions like this, but I won’t bore you with them. (You probably have them too.) And there are thousands like this. And I’m not making a whole lot of headway here. Reasons and facts are not there. Life becomes more mysterious and inscrutable. But there is a word we must know–it is the word “trust”. It is a faith that assists us through the landscape of impossible questions. But it is precisely these issues that help me be a disciple. I’ve been slowly learning you see. And my weaknesses are becoming my strengths. They lead me to exercise my feeble faith. I trust in Jesus; my faith helps me trust. I find it interesting to note that the Book of Psalms for the most part, was written by “a broken believer” like David– a king and a rascal. because they keep at it and don’t quit. These nebulous areas have only increased, but ironically my trust has only grown. I have more questions then ever before, but my faith in him only gets stronger. I suppose I will never, ever be a gleefully upbeat, cheery person. But I am learning “to trust and obey, there is no other way…” He himself has taken up the chore of teaching me to walk, again. Just one thing, keep trusting. The crown you wear is vulnerable. Sorry. But the truth is that the crown we wear can be snatched, and taken away from us. The dark enemy would love to lift it up, and the hoards of evil would rejoice over their victory in a dark demonstration of their power over you. Jesus has issued a command. His instruction communicates to us an awareness of what evil is about to do. He tells us that there is a testing, and that there is the need for endurance. We can so easily be led into darkness, and the enemy is pressing us with all his might. Our crowns can be taken. They will not be returned, at least not without issues. Evil will come from this failure to keep watch. Our spiritual life has been harmed and weakened. Our crown becomes Satan’s trophy, and he gloats as shows off his collection. We will become destitute of spirit, and our life starts to reflect the darkness. Evil repeatedly does this, and we should realize that this. We cannot give in to this intimidation. Remember, the crown the Holy Spirit gave you is extremely important. It has a significance. 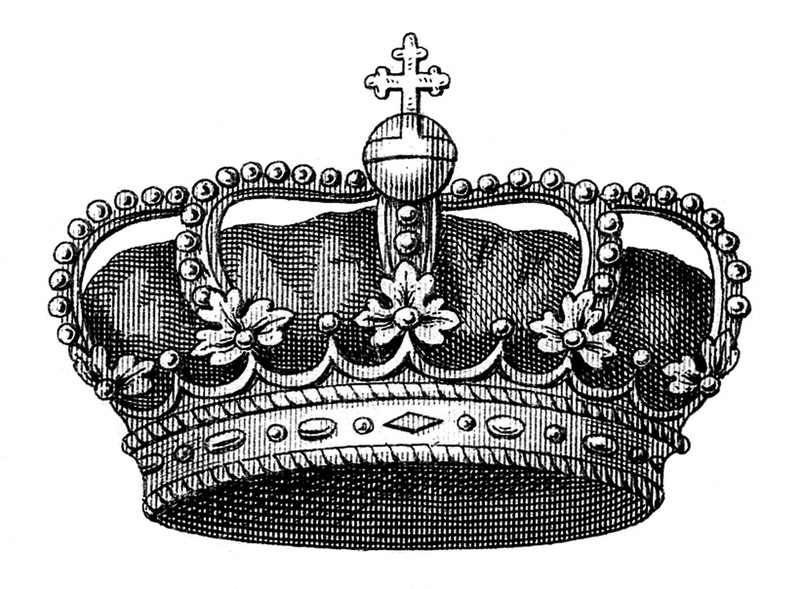 We look at our crown, and we can draw conclusions. First He has given us an authority, and a place in his kingdom which is secure. He meets our needs as we work out the kingdom in this world. He works hard to turn us into a ‘marvel’ of grace. We are royalty; princes and princesses of the High King. We serve Him alone. My dear brother or sister, you wear a crown that sets you apart. Wear it, with a spiritual awareness that you are special. You are of a kingly lineage. Rub shoulders with all that is good. Become a companion of all those who are friendly to the truth. Walk humbly, yet boldly. You must hold on to everything that belongs to you.